Our restorative and general dentistry keeps your teeth and gums in optimal health so you can look and feel your very best. Are you feeling as confident about your smile as you could be? If not, check out our beautiful cosmetic dentistry options. Missing tooth or teeth? dental implants permanently replace the missing tooth, so you can regain health, comfort and confidence. Our restorative dentistry turns back the hands of time and makes your smile look and feel just the way nature intended! 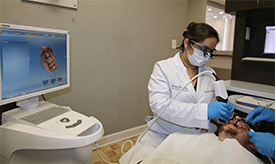 Advanced Dental Care is Leesburg dentist office that offers gentle and professional treatments using the most advanced technologies and methods. Looking for personalized care for you and your family performed by a friendly, caring team? You’re in good hands. 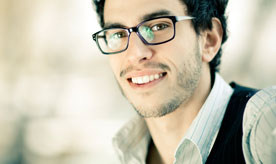 ADC is dedicated to providing the best treatment solutions to give you a beautiful, confident smile. Our service difference is that all our treatments are fully tailored to your unique concerns and needs. We take our time when giving you a thorough oral examination and considering every care option. You get a gentle, preventative, and proactive dental health approach that has your long-term interests in mind. That’s because we want you to have healthy, strong teeth that last a lifetime! The treatments available for you are wide-ranging, from general dentistry to cosmetic dentistry, implant dentistry, and restorative dentistry. Our dental exams and cleanings are a great regular, preventative treatment for your entire family. Frequent checkups are also your chance to catch issues early before they become a problem. Seeking brighter, straighter teeth? Cosmetic dentistry can give your smile a new lease on life with treatments that close gaps, repair tooth chips, sculpt gums, and deliver a whitening transformation. Restorative dentistry repairs serious damage, relieves pain, and improves the appearance of your teeth. 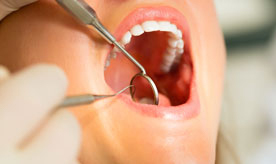 Access services such as tooth extractions, dental crowns, dental bridges, and root canal treatments. You can even get treatment for more specific concerns such as Sleep Apnea treatment and headache/TMJ relief. We support our military, law enforcement and Senior citizens. We offer special discounts and care to show our appreciation and support . Please contact us for details.